Get yourself an incredible 25% off holidays between now and the 26th April! Why not hire a dayboat for the day? relax on a narrow boat holiday! Based on the beautiful Macclesfield Canal, Heritage Narrow Boats offers the perfect location to start your narrow boat holiday. Explore the outstandingly beautiful Cheshire plains on one our holiday narrow boats. Heritage Narrow Boats is ideally situated to take advantage of the ‘Four Counties Ring‘, ‘Cheshire Ring‘ and the Llangollen canal. We have a wide choice of holiday boats to suit parties of all sizes. You are therefore assured of a relaxing and enjoyable break. Sometimes called a ‘long boat’ or ‘barge’, a ‘narrow boat’ travels at a leisurely 3 miles an hour and as a result you cannot help but relax and unwind. From Heritage Narrow Boats there are several ideal routes for ‘first timers’. 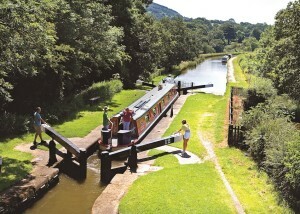 One popular route is north, through ‘Bosley Locks‘, and up to the ‘Peak Forest Canal‘. This allows you to cruise without attempting too many locks, granting you the opportunity to get a good feel for the boat. As the style of holiday that can appeal to anyone, crusing on a narrow boat is a great way to escape from the pressures of modern life. Traveling through the beautiful countryside by day and mooring up for the night at friendly canal side pub or a secluded stretch on the tow path. 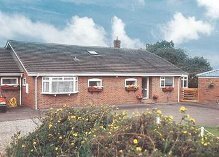 Whether you are looking for a relaxing holiday on a narrow boat, or our canal side holiday bungalow, moorings for your own boat, or just a day on the water on one of our day boats, Heritage Narrow Boats has something to offer all those wishing to relax and spend time on or around the water.